In their overwhelming support for Brexit, UK fishermen were seeking to upend the status quo. But now that this message has been received, the next big challenge is not about the status quo, but about the state of quota. As the media, environmentalists and industry examine UK fisheries from every angle, the Q word keeps cropping up. Quota: what to do with it? Who deserves more – or less? And how can we ensure future UK fisheries are a vibrant patchwork of sustainable industrial and small-scale fishing operations, providing a secure backbone to coastal economies? As the UK decides on how to handle quota post-Brexit, it must try to deliver on the hopes for greater prosperity of fishermen working on big boats and small. It is important to acknowledge that while quota management in the UK is not perfect, it has delivered an upwards-trend on profits and sustainability. Iconic and once in-decline species are now rebounding – with North Sea cod recently achieving MSC certification after years of careful management. Across the pond, the use of science-driven quotas has helped the US build some of the most sustainable fisheries in the world: of all the assessed fish stocks across the US, just 9% are considered over-fished, which compares to 40% in the EU. The region with the worst track record for fishing sustainably here in Europe is the Mediterranean. The health of the marine environment in the Med is of critical concern: it’s one of the only areas where quotas are not the typical form of management, and 93% of fish stocks are over-fished. So, in short: quotas work for sustainable fishing. And they can keep working post-Brexit in the UK. But it’s not as simple as picking ‘quotas’ over other methods – we need a national conversation about how they are handed out – to whom, for how long, and with what aims in mind? The UK Government is faced with a big, complex ask in determining a new vision for national, ‘world leading’ fisheries. 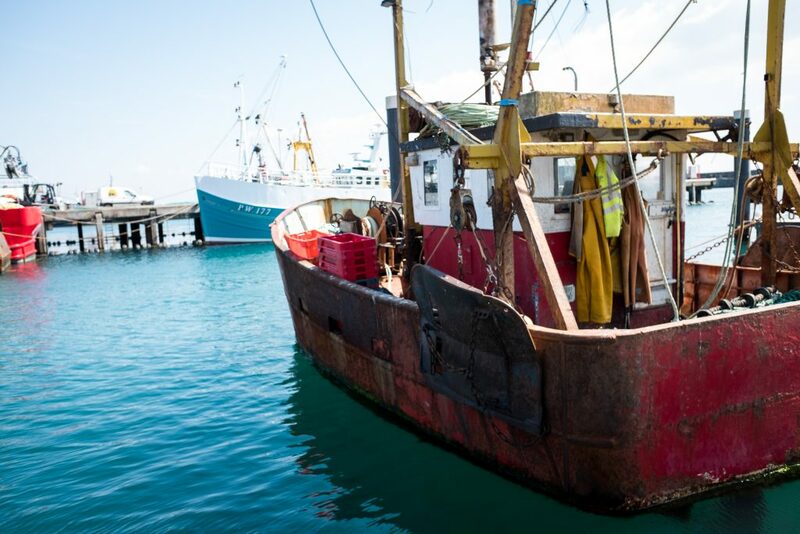 When it comes to quota, here are some basic principles that can be used to frame a fishing future with well-balanced goals for jobs, seafood supply and the marine environment. Fishing opportunities (quota) should be handed out based on clear social and environmental criteria. This is something else the US is getting right – the California Fisheries Fund, working with The Nature Conservancy, has supported West Coast fisheries by investing in quota and handing it out to local, sustainable fishing operations. The UK Government could learn from these efforts and set aside a portion of the national quota to support a ‘reward scheme’ for boats that fish with a lower impact on the environment. Bigger rewards could be handed out for the most ambitious performance targets, such as for vessels taking up full electronic monitoring of their catch. Incentives could also be tailored to ensure diversity in the fleet (keeping a healthy balance of inshore and offshore fishing). Boost the profile of fishing as a career for young people by creating a scheme for new entrants. Similarly, a national ‘pot’ of quota could be set aside to support newcomers to fishing – giving them the opportunity to fish without needing to buy a boat and quota from other fishermen at huge expense. Denmark has been doing exactly this, through a ring-fenced share of quota known as ‘Fishfund’; helping new entrants to join the sector. We need to stimulate growth at the younger-end of the fishing industry, diversify the sector and recruit new talent with an open, inquiring approach to fishing methods. Getting millennials on board could also help seed and spread new, tech-savvy approaches to fishing. Put the necessary safeguards in place to protect social goals. To get technical, it’s time to break up ‘FQAs’. FQAs are ‘Fixed Quota Allocation’ units – groupings of fishing opportunities that are so large they are just too expensive for smaller operators to purchase. Like a household trying to buy more bread, but the supermarket only stocking it by the tonne. If we could break FQAs into small, affordable ‘bundles’ of quota (get the supermarket to sell bread by the loaf), small boat owners could get on the quota ‘ladder’ through this more affordable access to the quota market. These bundles would also represent accessible ‘starter quota packages’ – another way to attract new, young entrants: the future of the industry. It’s also important to limit the total amount of quota any one fishing business can acquire, so it isn’t able to ‘consolidate’ exclusively into the hands of big business. Sweden operates local ‘quota pools’ exclusively designated for small-scale fishers – protecting employment in coastal communities whilst allowing bigger boats to trade freely outside of the pool. In Norway a one-way ‘valve’ system means that small boats can purchase quota from larger operators, but the reverse can’t take place. With fishermen some of the most vocal advocates for Brexit, and fishing communities some of the most vulnerable to economic uncertainty in the country, now is the time to step forward with ambitious policies to deliver on a more prosperous future for fishing businesses, both big and small. Using incentives, safeguards and carefully tailored approaches like those above, the UK Government can use quota – the right tool for the job – to realise a truly world-leading vision for UK fisheries. This entry was posted in Europe, International, Policy and tagged Brexit, Quota, UK. Bookmark the permalink. Both comments and trackbacks are currently closed.